You’ve done everything right. Everything from buying the perfect dress to having the best honeymoon you could have ever hoped for! Hold these memories forever and use the wedding scrapbook ideas below to cherish your wedding reception forever! There are so many aspects of the wedding reception and you may feel like you have enough pictures for a whole album. If that is what you want, go for it! We will give you page ideas for each of those pieces of the reception. Ask yourself, what are the things you want to remember from your reception? Your decorations? Your Menu? Your program? Your guests? The toasts? The Dance? The Bouquet toss? The Cake? Now, let’s have fun and scrapbook! Let’s start with the decorations. 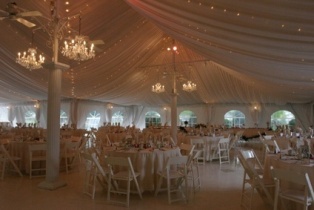 I hope you were able to get some good pictures of your reception hall when it was not crowded with people! On this page consider playing a large picture of the reception hall showing the entire theme of the reception. In smaller pictures, show the table settings, the dance floor, the head table, the guestbook table, and, if someone took a picture of the gift table near the end of the night, place this picture here too! In a journal entry record the colors and theme of your wedding. Tell us your favorite part of the wedding. If there was a funny story or perhaps a frustrating store of any happenings at your wedding reception, share it in the journal space! This page can be simple but elegant. Consider printing your menu on a delicate acid free paper or use your well practiced calligraphy to write the menu items down. The background page can be the colors of your wedding. I think you will later be thankful for recording your menu. How wonderful the toasts are! Take a picture of the Maid of Honor and Best Man and place it on one of the top corners, It would be great to see a picture of the Best Man and Maid of Honor raising their glasses together! Below their picture, if possible, write out or print the words given in their toasts. Use the same paper as on the menu page. This page would work great opposite the menu page or the program page. Speaking of the program page, let’s talk about more wedding scrapbook ideas. If you had any special speakers or entertainment display their pictures here. Also, if you had a program made for your reception, stick in too! The first dance is my mother’s absolute favorite part of the reception. Create a layout showing your and your just wed husband’s first dance! In a journal entry, write down what song was chosen for the dance and why. If you had other special dances, such as the Father-Daughter & Mother0Son Dance, consider choosing photos shot of those dances to place in your layout. At my wedding, instead of throwing the bouqet and guarder, we gave the bouquet to the couple married the longest. Therefore on this page I would place a picture of that couple with the bouquet. Last, but definitely not least, let’s talk about the cake! The cake is one of the most beautiful pieces at the wedding reception. Consider placing at least two pictures of the cake on this page. The first picture being just of the cake, or a picture of you and your new husband right beside the cake. The second picture can then be you and your husband cutting the cake.